There are over 11 million miles of roadways in the world. However, only a very small number of them are worth the drive. Here at iSuperdrive we've compiled a list of the best driving routes out there; incorporating both stunning, scenic views along with pure driving pleasure. We've even taken the complications out of it and recommended the most fitting supercars that you should rent to most fully experience each drive to. 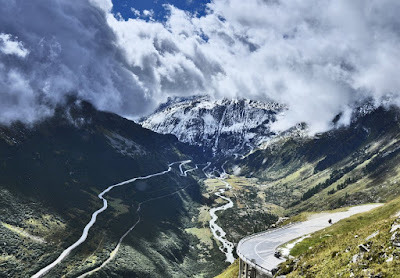 The Furka Pass is a stunning high mountain pass located in the central Swiss Alps that cannot be missed. It is one of the most scenic vistas in the world, offering spectacular panoramas around almost every bend. The road surface is immaculate making it a road that you can really "drive", perfect for the abundance of sweepers and tight switchbacks that the Pass has to offer. It really is a breath-taking road with breath-taking views. 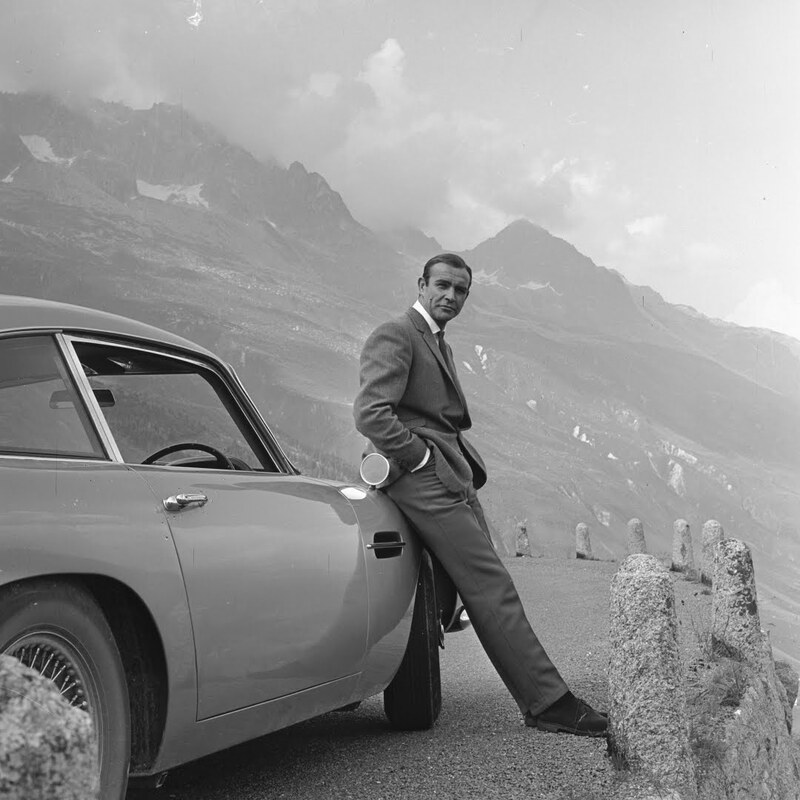 The Furka Pass was actually featured in Goldfinger, so naturally we recommend you be your very own 007 and rent a luxury Aston Martin DB5 for the experience. The Stelvio Pass is one of the most dramatic mountain passes that you can experience in the European Alps. Views from the road, which at times reaches 2757m high, are spectacular with clouds clinging to the highest peaks and waterfalls streaming down the mountainside. The Pass is best experienced when approached from the North-West side. This is due to this being the only direction that allows you to drive up its famous wall of switchbacks – all 48 of them. It’s also by approaching from this side you get to run through the heart of the Stelvio National Park itself before starting the ascent. This route then takes you through several great stretches of alpine forest and many kilometres of fast/ sweeping roads before arriving at the foot of the pass and allowing you to breath. 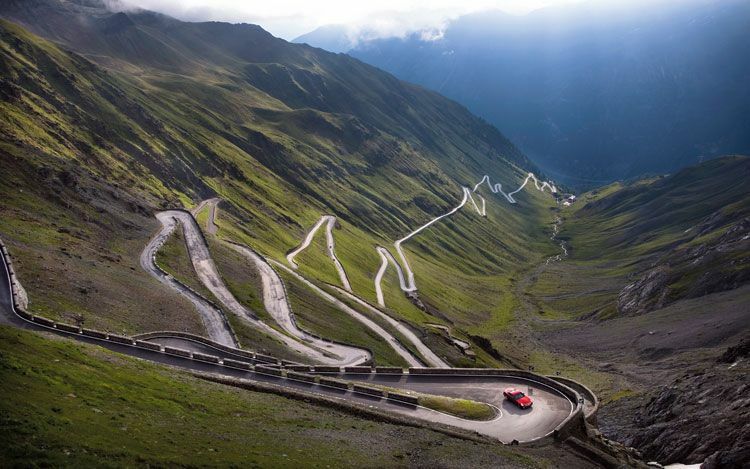 Top Gear voted the Stelvio Pass the 'best driving road in the world' in 2008 and, as it fared Richard Hammond so well, we recommend experiencing it in the lightweight Porsche 911 GT3 RS. 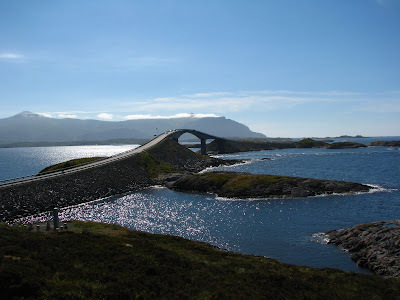 Opened in 1989, the Atlantic Road is a National Trust Route and was honoured as Norway’s Construction of the Century in 2005. The 8.3km Atlantic is a long section of Country Road 64 built on a number of small islands and skerries, and is spanned by eight bridges and several landfills. It has been the location of numerous car commercials, in part due to the roads impressive engineering but predominantly due to the stellar open sea views that are available throughout. 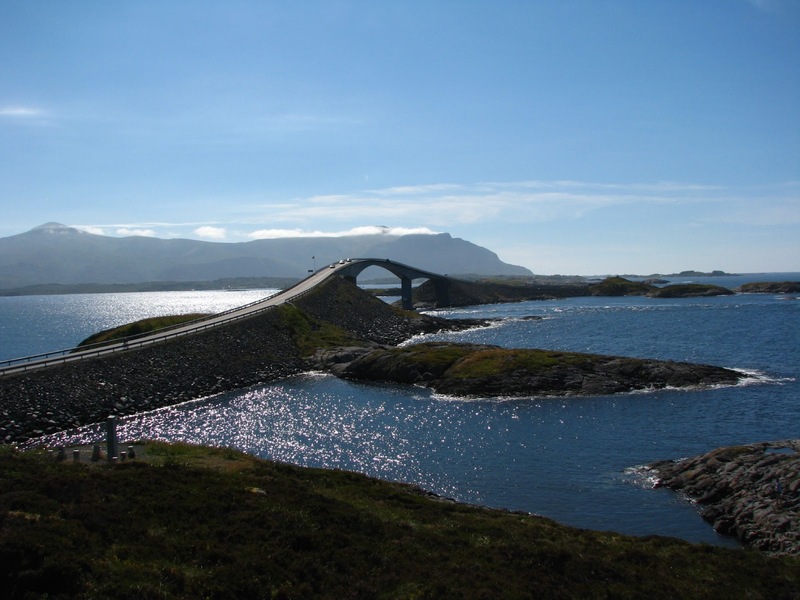 The breath-taking beauty of the Atlantic Ocean winding its way into the Norwegian countryside as it travels below the stunning architectural marvels is an experience not to be missed. For this one we recommend throwing the top down on a Maserati Gran Cabrio and cruising along the coastline, giving you a highly responsive yet comfortable ride as you soak up the sun. 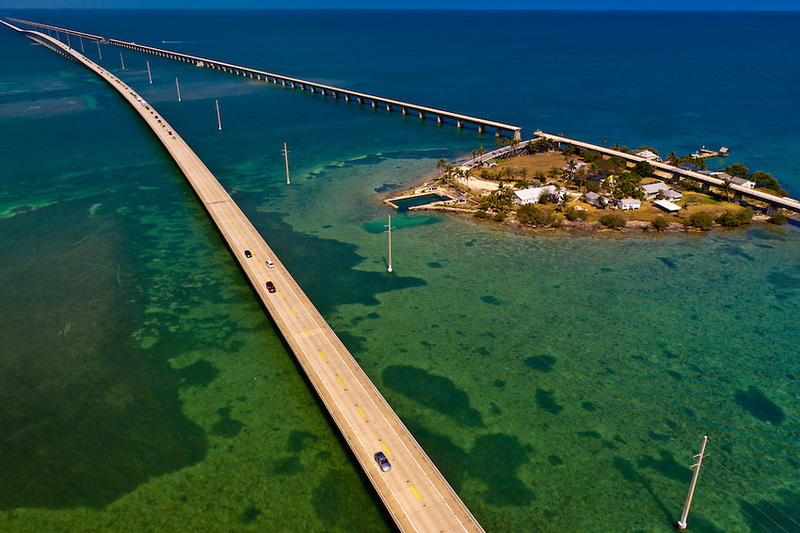 The road from Miami to Key West is truly a drive through paradise. The Seven Mile Bridge, also called the Overseas Highway, was constructed between 1909 and 1912. You’ll have the experience of being surrounded by ocean as you traverse what, for the most part, is a narrow ribbon of islands. Driving so close to the bright blue waters of the Florida Straits really is a sight to behold/ The road has been featured in many action films such as James Bond Licence to Kill, Mission Impossible 3 and 2 Fast 2 Furious, and really does look as impressive on film as it does in real life. Here we think it's right to emulate the guys in 2 Fast 2 Furious, so rent out a superb BMW M3 for a truly thrilling yet comfortable ride. 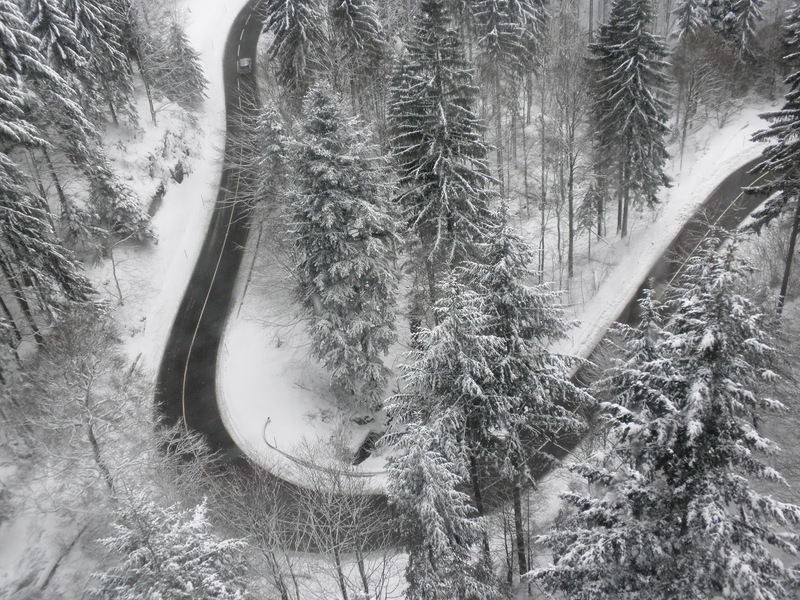 The Schwarzwaldhochstrasse, or "Black Forest High Road", is the oldest and one of the best known themed drives in Germany. A road that combines glass smooth sweeping sections elevated above the forest with a dramatic switchback run back through the forest to nearby Baden Baden. The drive is one the most beautiful elevated sections of highway in the black forest region, and there are fantastic views either side of you. The road always remains wide making it fantastic to drive, and hundreds of lay buys mean that you’ll never miss that perfect photo opportunity. The cherry on top with the Schwarzwaldhochstrasse is that the final stretch feels almost like you are on a race track, complete with dozens of tight switchback turns and race track barriers. You're going to want a fast car with superb handling and control here, so it's a no brainer to rent out the classic Ferrari 458 Italia. Chapman's Peak Drive is a mountain around 15km south of Cape Town. Arguably the most spectacular marine drive in the world, it winds its way between Noordhoek and Hout Bay on the Atlantic Coast of the south-western tip of South Africa. With 114 curves, sheer drops to the sea below on one side and towering mountains rising above you on the other, the drive is as exhilarating as it is terrifying. 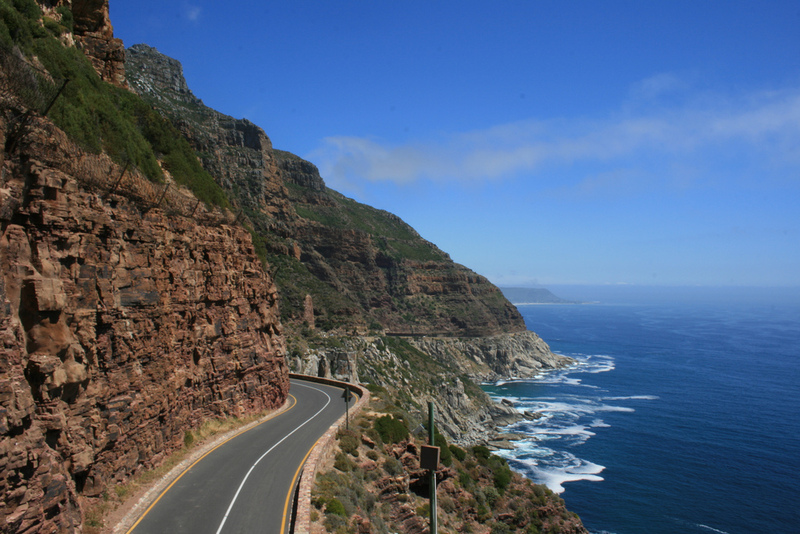 Locals affectionately call the route “Chappies”, and there are many areas along the drive offering 180 degree views where you can stop and take in the incredible, scenic views. A Lamborghini Aventador was truly designed for this road. It will handle well around all of the curves, can be pushed hard on the straight and has a terrifying roar to match. While hardly exhaustive, this list should provide some great options to add to your bucket list, and hopefully some inspiration for those planning an upcoming adventure abroad. Head to iSuperdrive.com to check out the latest luxury and supercars available to rent in over 43 locations across Europe now.